Many hospitals and medical practices are moving to e-health record systems. While these can lower costs and improve quality of care, they are nonetheless a source of complaint from many healthcare workers. Many physicians complain that typing in information from a visit simply takes too much time, up to five minutes per patient. This time adds up quickly and can significantly reduce efficiency. However, there are ways to incorporate e-records without filling your life with typing. Dragon Medical Practice incorporates voice recognition into electronic health record systems, allowing doctors to get the benefits of this technology without the additional time. Discover why doctors should use Dragon Medical. Doctors who are familiar with e-health records systems will recognize many of the features of Dragon Medical Practice. The software has drop down templates for medical history as well as patient information that can be completed while seeing the patient. When the exam is over, there is voice recognition software that transcribes the rest of the physician’s notes as well as any other details that could not be entered during the visit. Swedish Medical Center, which includes three hospitals, tested the Dragon Medical Practice software. They found that Dragon Dictation for doctors saved a great deal of time and money. After five months, Dr. Gude already felt that the software was essential. 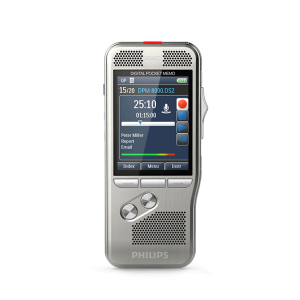 Patient histories and other information could be spoken into a USB microphone at the charting station, a clear time saver over typing. Unlike template-based programs, Dragon Dictation for doctors allows physicians to take notes that don’t fit within the template. The combination of the freedom of paper charting with the efficiency of e-health records is a clear winner, especially when the speed of voice recognition software is added to the mix. In addition, doctors can immediately read notes and check for mistakes, which is not always a possibility when using a medical transcriptionist. A doctor’s time is valuable, not only economically but for providing patient care. Doctors who can see more patients with less time spent charting are more efficient and less frustrated. Dragon Medical Practice not only allows doctors to work efficiently and thoroughly, it saves money on costs from traditional transcription services. In addition, errors can be quickly correcting, yielding more accurate charts. 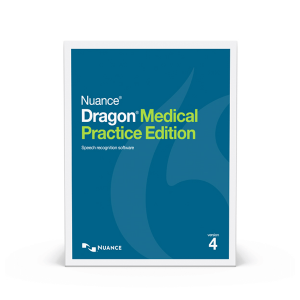 The primary care practice associated with University of Rochester Medical Center recently implemented Dragon Medical Practice. Between the six physicians in the practice, the savings were estimated at $20,000 to $30,000 monthly. The savings in transcription fees and time add up quickly. The medical center now plans to use Dragon Medical Practice in all areas of their business, which includes more than 700 physicians. Staying up with the latest technology while delivering excellent patient care and accurate record-keeping is a huge challenge that all medical professionals must face. However, Dragon Medical Practice makes it easier to balance these competing concerns. No doctor should be without this valuable time- and money-saving tool.